The SIZE of the finished product - standard sizes are going to be more economic and print faster than specialty sizes. However, a specialty size may draw more attention and help your brand stand out. You will need to decide if the premium you will pay on the specialty size is worth it in the long run. PAPER SELECTION - If you have decided to go with a printed brochure you already realize the importance a physical piece (to see, touch and feel) makes to your audience. The paper stock that you select needs to play an important role. Talk to your printer about paper options and ask for samples. Also be sure to ask if any of your options must be ordered in specific increments. Some stocks have a minuium order quantity. Keep in mind that many of the specialty paper options take extra time to order and receive. How the brochure is FOLDED - By definition, a brochure is a folded piece - but this doesn't mean that there are only a hand full of options. You can go with a standard basic fold, a roll fold, a parallel fold, a gate fold, and the list goes on and on. Your printer will have a folding guide that can help you decide which option is best for you. They can also make a "dummy" (a blank to-size folded piece produced from the actual selected stock) of your project to help you visualize the end result. Be sure to ask which of the options will be folded mechanically (less expensive) and which will need to be folded by hand (typically cost more). When designing a print job, there are scores of choices that could potentially impact the cost of the project. Finishing work, which is often overlooked but important to consider, can have unexpected fees associated with it when jobs don’t fit standard machines or otherwise require unique handling. Adding or subtracting as little as half an inch can make the difference between a job delivered at (or under) budget and a job that breaks the bank for your firm. Trimming – cutting pages apart, trimming off the rough edges, etc. Some finishing work is simple, and can actually be done while the job is still effectively on the press. But other work, particularly folding and binding, requires special equipment that has particular tolerances. This is where things get tricky. Now that we’re clear on what “finishing” is, the next step is to determine if there is on-site mechanical finishing equipment suitable for handling your job. If your project doesn’t match the finishing capacity at the printer you’ve chosen, it could be outsourced. When finishing work is outsourced, your print costs can go up dramatically. Hand-finishing can have knock-on costs, particularly where intricate folding and/or gluing is required. Binding thickness – the thickness of the completed work determines the best type of binding, in terms of both budget and equipment. If your chosen commercial printer doesn't have the perfect mechanical finishing solution, outsourcing is always an option. For some print operations, collaborative work is a way of life and only adds a “minimal cost” to the total bill. To avoid surprises, be clear about who bears the cost of shipping those 10 palettes of folders from one side of town to the other and back for finishing. Often, the bill for shipping alone can counteract any apparent savings you were making by choosing a facility that outsources finishing in the first place. When planning your print projects, have an understanding of the equipment your printer is using. This helps you design projects that suit the tolerances of their mechanical finishing devices, allowing you to create a better finished product for the best possible price. Half an inch here and there makes a world of difference in commercial printing. 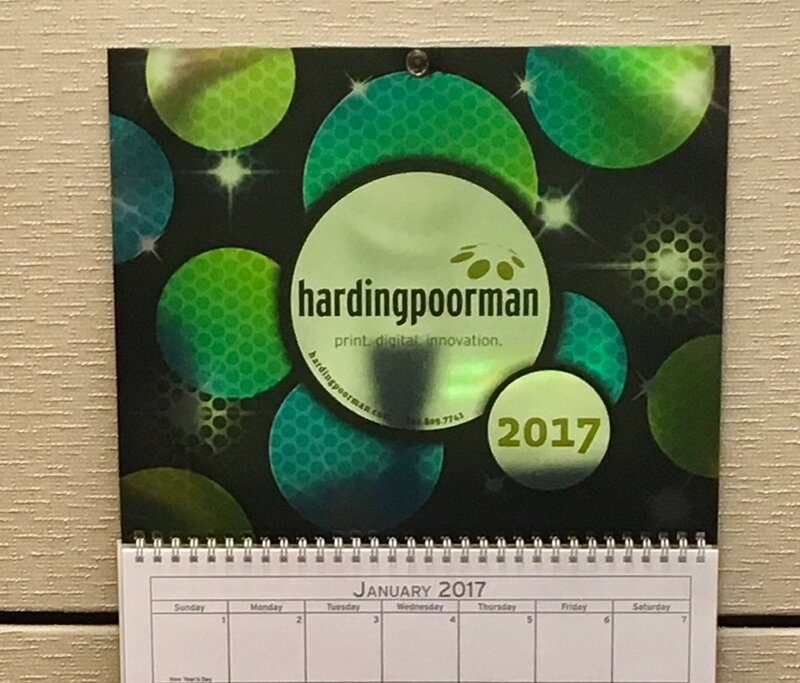 The experts at HardingPoorman are ready to explain how our mechanical finishing solutions can help you achieve the best results for your next printing project.